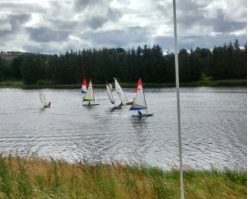 Want to improve your sailing tactics, while staying on dry land? Why not play a sailing game. The following game can be found on the Google Play site, I am sure that you can also find it on the apple site. Race intense regattas in real time against sailors from all around the world! Your fleet of inshore yachts includes ultra-fast foiling catamarans, dinghies or cutting-edge monohulls. The short format of racing is identical to the one used for real life competitions, such as the America’s Cup or the Star Sailors League, with a unique virtual umpire who applies the official rules of sailing. Click the button below to go to the app download site. This entry was posted in social and tagged game, sailing on December 28, 2018 by Erwin Oosterhoorn.